The templates provided with the Deployment Tool have been updated to reflect best practice and the latest features available. If you upgrade your Visual LANSA installation you may still have these templates but they are not recommended for use as they use the SuperServer XRUN parameters for server connection. 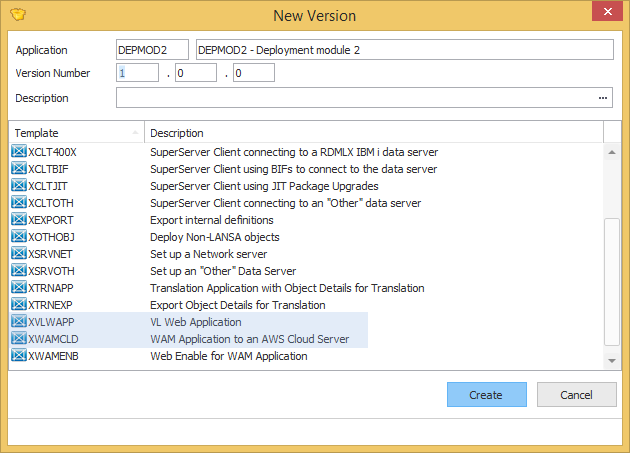 The recommended template for SuperServer applications is XCLTBIF.